DevOps! One of the most abused terms in the software industry over the last few years. One of the reasons for this is that the term can mean something totally different, depending on what your role is, and what kind of business you are in. Yet, it is a very real practice with solid benefits that allow companies to build better quality software faster, and with lower cost and risk. 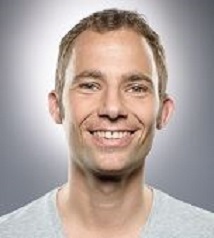 In this 30-minute “secret sauce” session, Andreas Grabner, DevOps Activist at Dynatrace, shares customer learnings and best practices from DevOps adopters around the world. What does DevOps really mean for developers, testers and operators? How do companies like Facebook deploy twice a day without big issues? How does DevOps work in industries like finance, government, and healthcare where tight regulations exist? Is Dev responsible for Ops? Or only if you are working in a Cloud environment? What is different and unique as we move from old-fashioned on-prem software to hybrid and Cloud apps? Why is talking to people the forgotten DevOps tool? Andreas Grabner has 15+ years’ experience as an architect and developer in the Java and .NET space. In his current role, Andi works as an advocate for high performing applications in both the development and operations areas. He is a regular expert and contributor to large performance communities, a frequent speaker at technology conferences and regularly publishes articles on www.dynatrace.com/blog/.